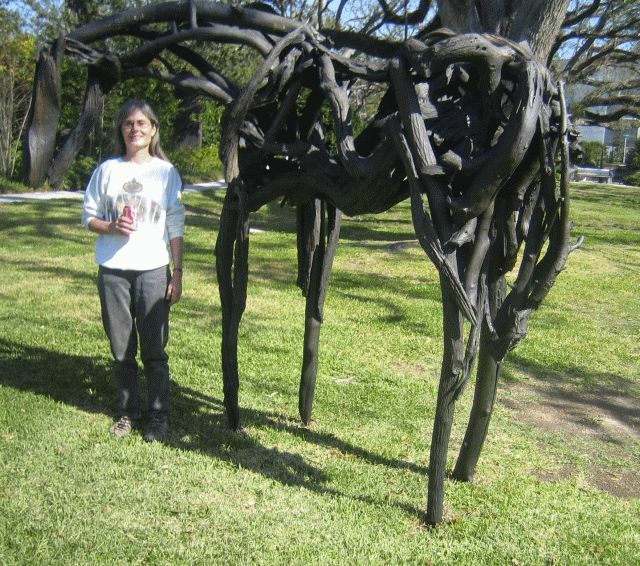 In NOMA’s piece, the slightly larger than life size horse was cast in bronze pieces. In this process, Butterfield constructs a horse from found wood pieces. The wood she chooses for these pieces are evidently weathered and well-worn. The artist constructs her horse from found wood and is then photographs the wooden sculpture from all angles. Then the scupture is disassembled and each wood piece is individually cast in bronze. Butterfield then reconstructs the horse with the bronzed “wood” using the photographs of the original wooden horse to put each bronze piece in its exact place. The bronze horse is then painted with patina to make it look like the original weathered wood.